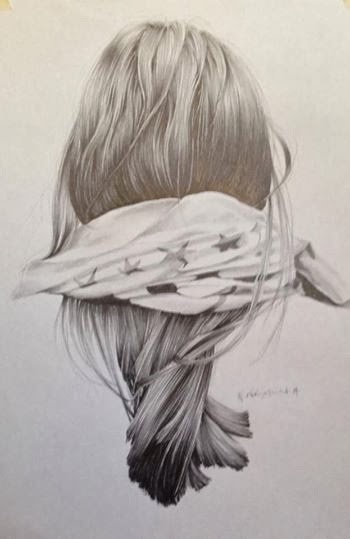 Recently I had the pleasure of stalking the beautiful Nettie Wakefield, an artist who works primarily in pencil, drawing the backs of peoples heads. My Name is Nettie Wakefield and I am an artist from London. Its what ive always wanted to do so I think im very lucky that I actually get to do it! I love it because I get to be my own boss and set my own deadlines and working hours. I also get to wear what I like! Why the backs of heads and not the front?! My ethos behind this series is about mystery, intrigue and about challenging the assumptions and preconceived ideas of the viewer, what we project onto that head. Can you really be sure that one of the feminine looking ones with a ponytail or plait isn’t a man? 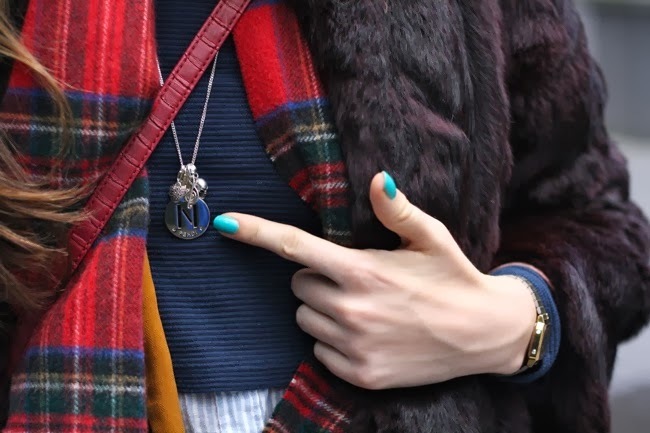 While giving a little hint of identity with a scarf or an earring, we make a judgment based on that information. You choose to prominently work in pencil, why is this your chosen medium? I choose to use pencil for these portraits partly because its my favourite medium and I’m far more interested in tonality than colour. It also adds to the mystery of the piece when you are deprived of colour. I also believe it to be an honest medium. There is no hiding with pencil. It is where so many artists have started ... the source of the stream. Most people associate it with a beginning of something, a plan. I prefer to use it as my main medium: A finished piece. I feel it is able to capture both the apparent simplicity and the provocative depth of the subject. Well its very much dependant on my mood. In the winter I’m very much a skinny jean, cropped knit and ankle boot person, more tomboyish. In the summer, I’m much more girly, I favour high waisted anything with a floaty crop top. I love Chloe Sevigny’s style and Jane Birkin so I try to channel those beauties a bit. Got to be iphone. Its glued to my hand. I take a lot of the pictures of people with it so its also valuable for that reason. Nettie also did a bit of stalking herself on me! Here's a little glimpse of me!! Pretty interesting! Love the pictures!